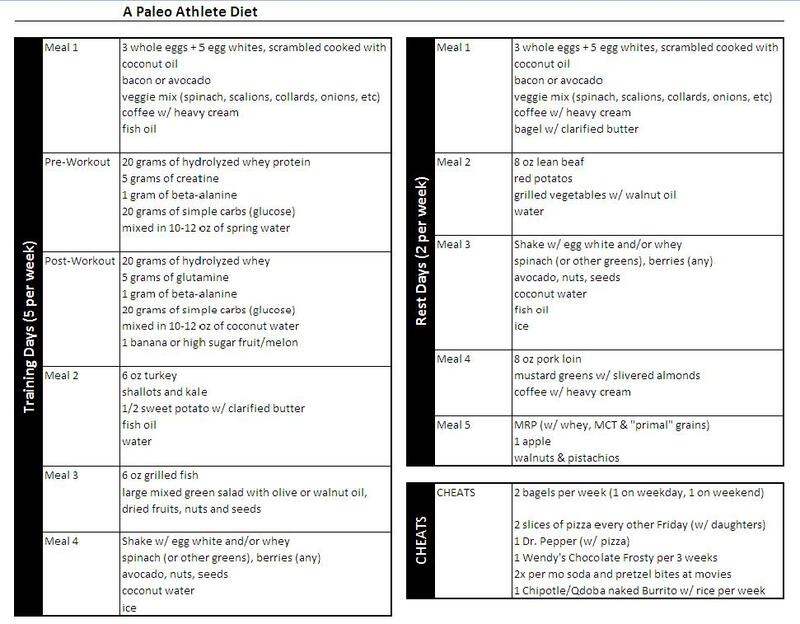 I have made half-hearted attempts at going Paleo in the past but now I think I’m really going to give it a go. The hardest thing for me to give up will be the bread, pizza and bagels. (Wait, that’s all bread right?) But I’ve now heard from enough people and listened to their anectdotal evidence to jump in with both feet. …if you are 85% compliant with the diet most of the time, significant improvements in your health can occur. The other 15%… are open meals, meaning you can choose to eat a normal amount that fall outside the diet plan. Trust me. I’m going to take full advantage of that little Paleo loophole. I listed my typical cheats in a section on the diet plan. Let me know what you think of the thing and I welcome any feedback, comments or suggestions.